Search for your new home in Surrey Downs, an active adult community in Howell NJ. 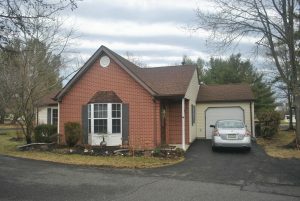 Surrey Downs is an Active Adult, Over 55 community in Howell, NJ. 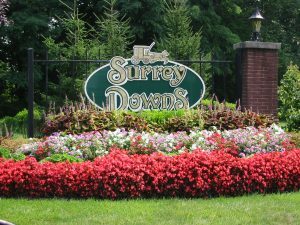 It’s ideally located on the Freehold border, because Surrey Downs is close to shopping malls, theaters, beaches, libraries, museums, and much more. However, this is not a gated community. The monthly maintenance fee includes, lawn maintenance and snow removal, as a result you won’t need your lawnmower or snowblower anymore. Also garbage and recycling removal, common area maintenance, and use of the outdoor pool and clubhouse. IN addition, Surrey Downs welcomes your pets. Surrey Downs is a community of 443 detached, single family homes. 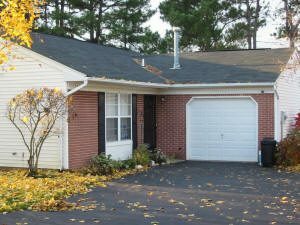 All of the homes have 2 bedrooms, some with either 1 or 2 baths. In fact, two models offer a loft, plus many have a den / office.There are 13 different models, and most models have a garage. In addition, some models have a formal dining room. The houses sizes are between 700 sq. ft. to 1454 sq. ft. in size. Most homes were built in 1986-1987, and a few homes were built in 1997. 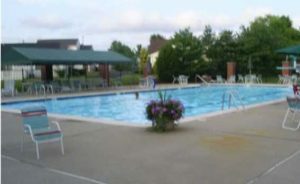 There is an active clubhouse with many activities, clubs and trips. The clubhouse also contains a fitness center for those who desire to exercise and stay in shape. While Surrey Downs doesn’t have a golf course, there are many golf courses in Monmouth County. Other amenities offered are a library, card rooms, exercise facilities and billiards. When the weather gets warm, enjoy using the pool, bocci and shuffleboard. In addition, other activities in the area that you can pursue would be boating, fishing and golf, to name a few. Residents of Adult Communities in have access to transportation services which are supplied by Monmouth County. Monmouth County provides non-emergency medical transport service which requires an advance reservation. However, there is a small fee involved. This will provide a round trip to any medical facility in Monmouth County. In addition, a no charge shopping bus with a set schedule will take residents to supermarkets, shopping centers and malls.